Why is Mickey Mouse More Popular Than Bugs Bunny? 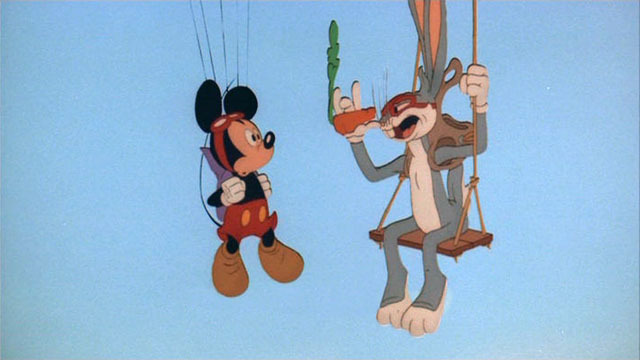 Baiting title aside, Mickey Mouse really is more popular than Bugs Bunny. He sells a lot more merchandise, appears in far more places around the world and is lauded as a mascot for the company that operates ‘The Happiest Place on Earth.’ Bugs never even got such opportunities and yet as a character, he is far superior to Mickey. Why is that? POLL: Which Suitcase Would You Choose? Is Disney Self-Censoring Old Mickey Mouse Cartoons for TV? Is this Shameless Marketing to Children? Let’s be honest, when I was a kid, the only reason I wanted one was so that I could turn the handle and watch the toy pop out…. I admit I kinda forgot about it as I hadn’t been in a while, but some time ago, we went to Geppi’s Entertainment Museum right in downtown Baltimore….